Superior Telephone Systems was incorporated in 1987. Superior Telephone Systems president and founder David Jones has over 30 years of experience in telecommunications. 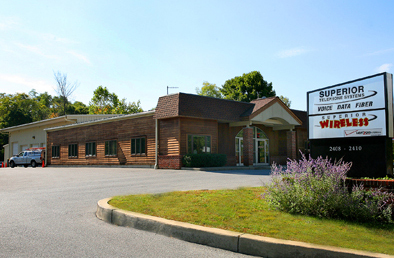 The business’s 8,000 square foot operations center, which provides service to New York, Massachusetts, Connecticut and North East US region, is located at 2410 Route 44, Salt Point, NY. We are the area’s largest NEC partner and over the past 7 years have installed in excess of 20 million dollars of equipment into the greater New York, Massachusetts and Connecticut area. 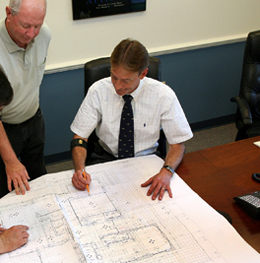 In over thirty one (31) years of operation, we have gained over 7,000 plus business and residential clients. The New York State OGS contract was awarded to Superior Telephone Systems in 2004 and re-awarded in 2014. 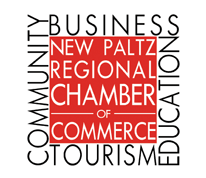 In 2018 we were contracted under the manufacturer’s umbrella contract with NEC Corporation to provide services to all 64 counties in New York State. OGS contract # PM20910. David Jones, Richard Seward & Jim Santoro handle customer sales, as well as implementing, engineering and designing all projects. The primary products we market are NEC. We also provide services including outside plant cabling, aerial, direct burial, duct/conduit systems, fiber optic cable, camera systems and paging. High speed design and engineering through various carriers, including networking products from Adtran and Cisco. Mark, a 30 year veteran of telecommunications is our foreman. Our IP technology and engineering is managed by Michael a 28 year veteran. Superior Telephone Systems has six (6) full time field telephone technicians which are all certified in NEC, VERTICAL VODAVI and / or PANASONIC. There is a certified technician on call 24/7 365 days a year for all your emergency needs. Three (3) of these employees are senior technicians with a minimum of twenty eight (28) years of industry experience each. In addition to technical and sales personnel, Superior Telephone Systems dedicated staff includes: Cheryl, and Tracey, who are responsible for customer service and support, dispatching, maintenance and sales services. Administration functions are handled by Carol, our business manager. With a combined total of over 308 years of telecommunications knowledge Superior Telephone Systems takes pride in delivering prompt and professional service. Our firm markets only the highest quality equipment from industry leading manufacturers. We hope you will consider utilizing Superior Telephone Systems, Inc. as your business partner for your telecommunications and data needs.